Sleeping Bear Surf & Kayak in Empire invites you to celebrate International Surfing Day this Saturday (Jun 20). The day begins with a cleanup of Empire Beach at 10 AM. At noon, the C4 Waterman manufactures rep will share his boards and knowledge from 12-4 PM with anyone wanting to try the very popular and fast growing sport of Stand-Up Paddling. There will be Current Designs kayaks to demo as well! At the end of the day, enjoy some free cake & ice cream for all participants to celebrate International Surfing Day & itty’s 10th birthday. Meet at the beautiful Empire Public Beach at 10 in the morning to commence the clean-up and for more info call Sleeping Bear Surf & Kayak at (231) 326-WAVE (9283). 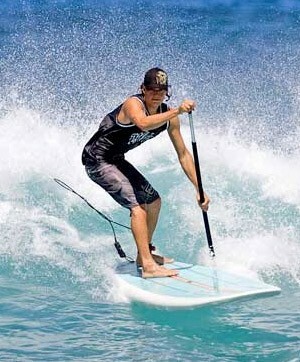 Learn more about standup paddle surfing via Michigan in Pictures.